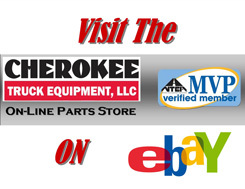 Cherokee Truck Equipment is your source for OEM railgear parts for your hi-rail trucks. We proudly stock Hi-Rail (Hy-Rail, High Rail) parts for the world’s leading railgear manufacturers: Diversified Metal Fabricators of Atlanta, Harsco Track technologies & Rafna . No matter what size hi-rail truck you are running; We can get you any Railgear part you need. 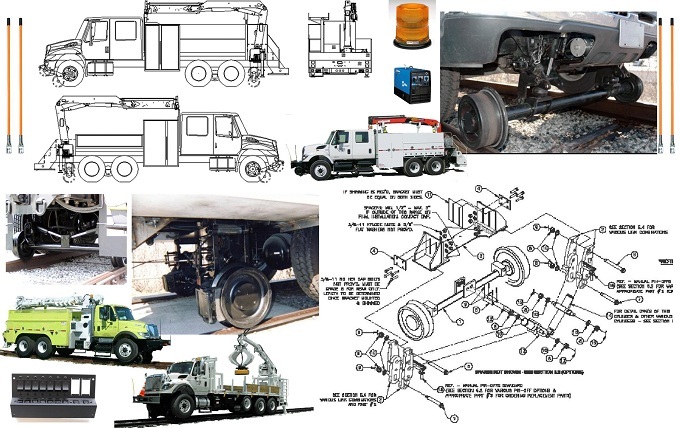 Cherokee Truck Equipment can also offer you other great advantages, should you choose us for your railgear parts needs. First, our Mableton, Georgia facility is located in very close proximity to DMF headquarters in Atlanta, Georgia. This allows us to discuss your parts needs with the original equipment manufacturer and physically pick up the parts you need very quickly, in the instance that we do not already have it in stock. It also helps us save on freight or drop ship charges. We can then pass that savings along to you! We also have highly functional supply chains in place with our other railgear suppliers, due to the high volume of hi-rail trucks we build every year for Class I and other large railroad organizations. Cherokee Truck Equipment is a large player in the Hi-Rail truck industry & when we present these suppliers with needs for our customers, things get done. Whether you are operating a Class I Railroad, a Regional or Shortline Railroad or a Railroad Engineering, Maintenance or Contracting Firm and you are using a Hi-Rail Truck; Cherokee Truck Equipment can get you the parts to keep that truck on the tracks! 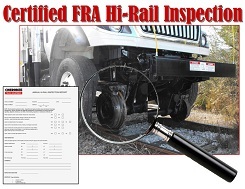 Don’t forget we can also completely service your railgear & conduct certified FRA Hi-Rail Inspections in either our shop or the field, with our mobile service truck.